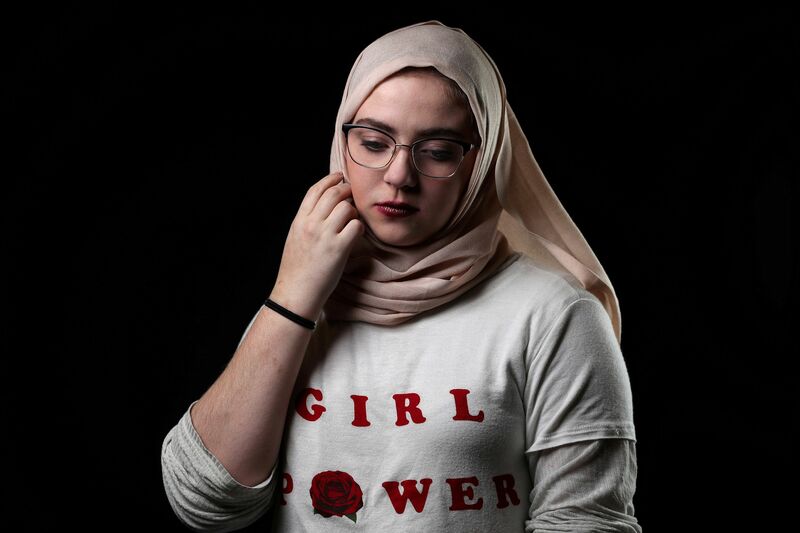 Samantha Hanahentzen, 17, poses for a #MeToo portrait. Border Patrol Agent Jacob Stukenberg looks at Guatemalan migrant Misael Paiz, 25, who died in the desert after traveling over 2,000 miles to cross the U.S.-Mexico border. 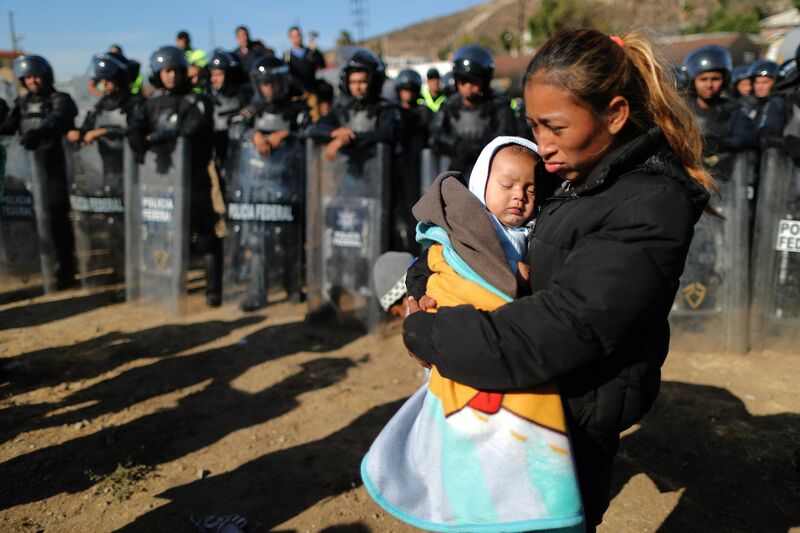 Rosa Villa, 30, and her son Esteban from Honduras, part of a caravan of thousands from Central America, are pushed back from the U.S.-Mexico border by Mexican police. 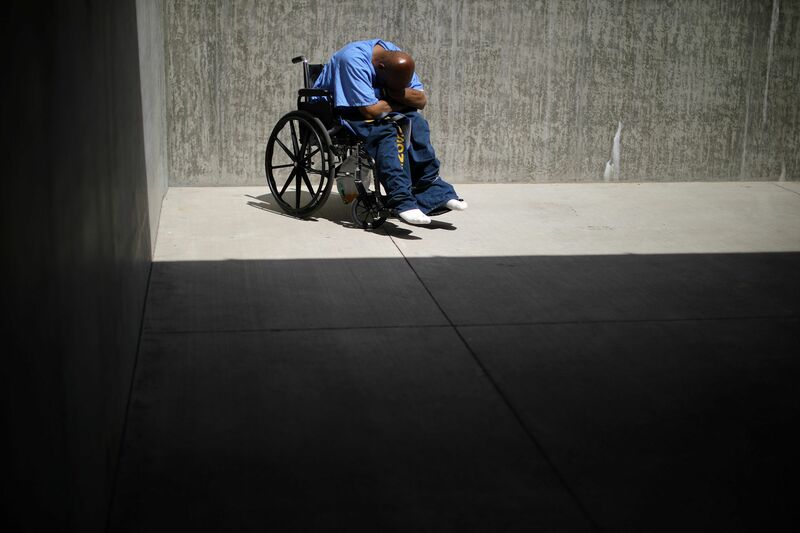 An inmate sits in the yard of a cellblock which mainly houses prisoners with cognitive decline, Alzheimer's, and dementia, at the California Health Care Facility. 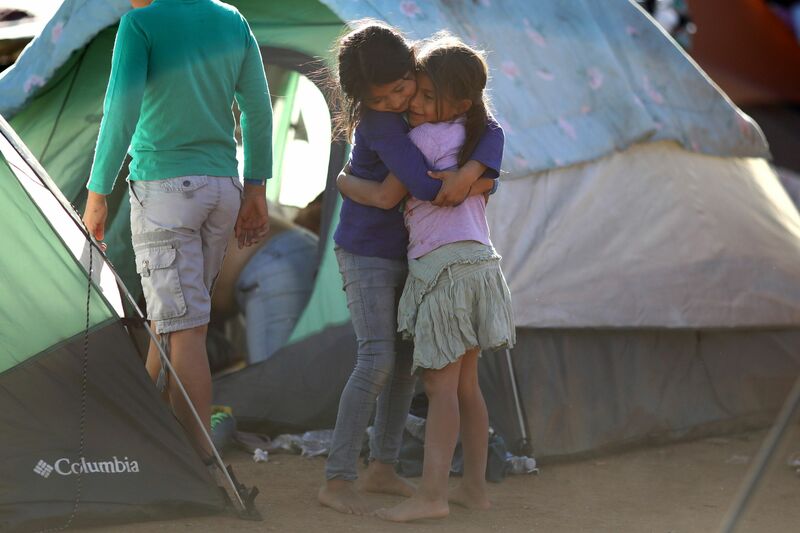 Friends from El Salvador Vanessa, 7, (R) and Seydi, 7, part of a caravan of thousands of migrants from Central America trying to reach the U.S., hug at a temporary shelter. 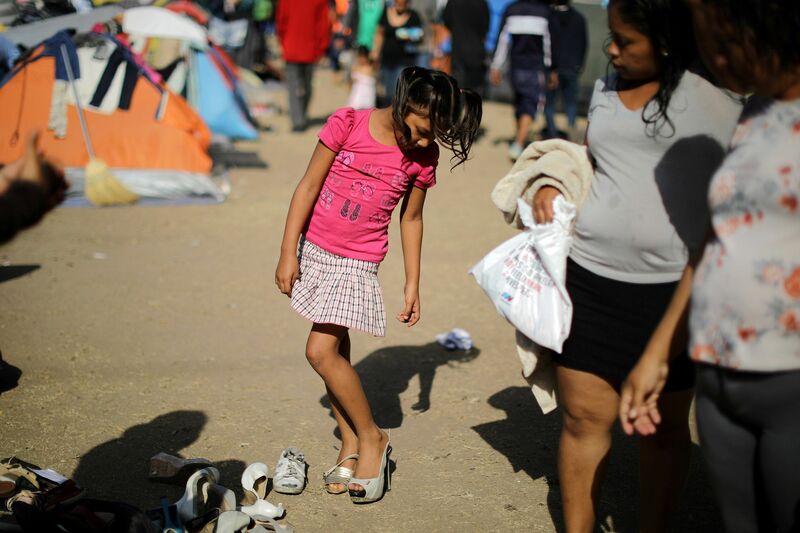 A girl tries on shoes at a shelter for members of a caravan from Central America trying to reach the U.S.
A man rescues a woman from her car during a flash flood. 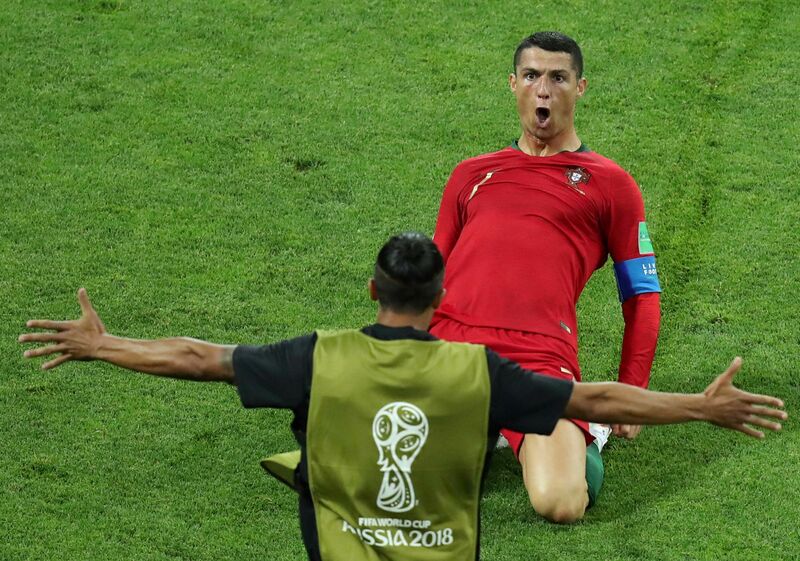 Portugal's Cristiano Ronaldo celebrates scoring their second goal against Spain during the World Cup. 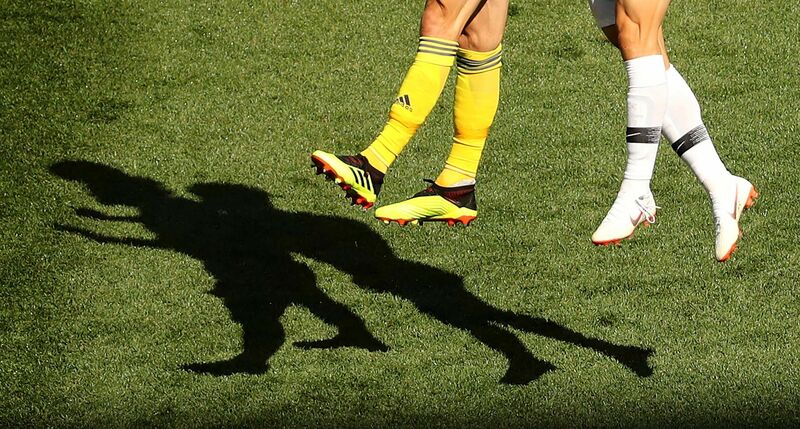 Sweden's Albin Ekdal in action with South Korea's Lee Jae-sung during the World Cup. Patrons cheer as Sergio Garcia of Spain celebrates winning the Masters with a putt on the 18th green during a playoff against Justin Rose of England at Augusta. 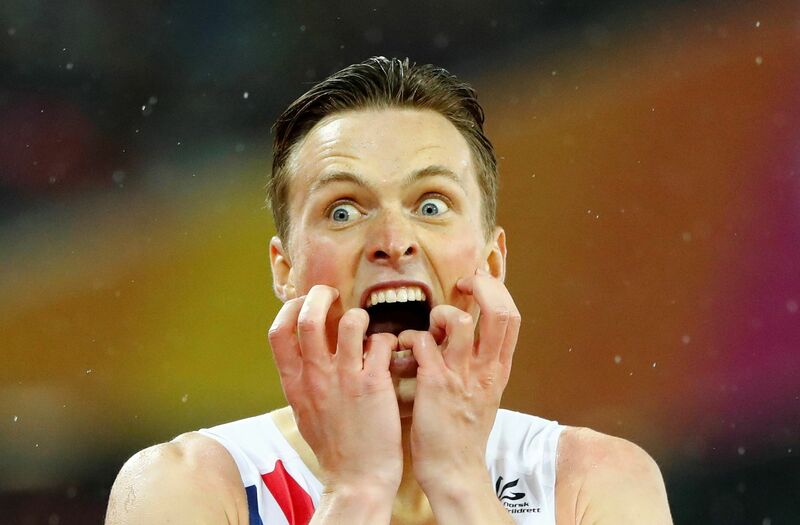 Karsten Warholm of Norway reacts after winning the final of the men's 400m hurdles at the World Athletics Championships. 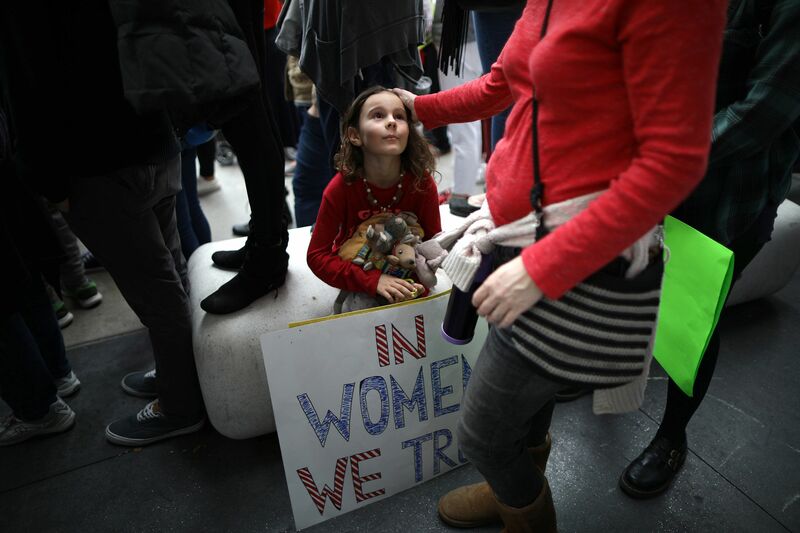 Ada Kennedy, 7, looks up at her mother as they participate in a protest march for survivors of sexual assault and their supporters. 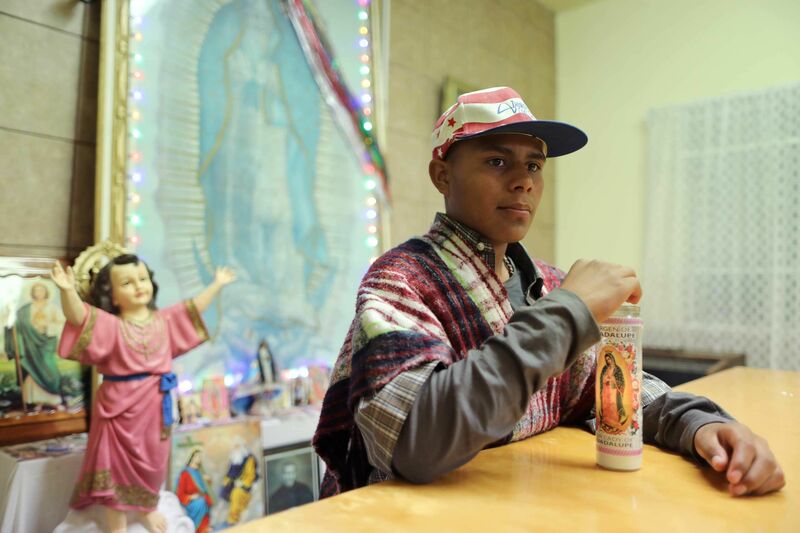 Migrant Jeber Hernandez, 14, from El Salvador, who hopes to make it to Los Angeles, stands in the chapel at the Juan Bosco migrant shelter. 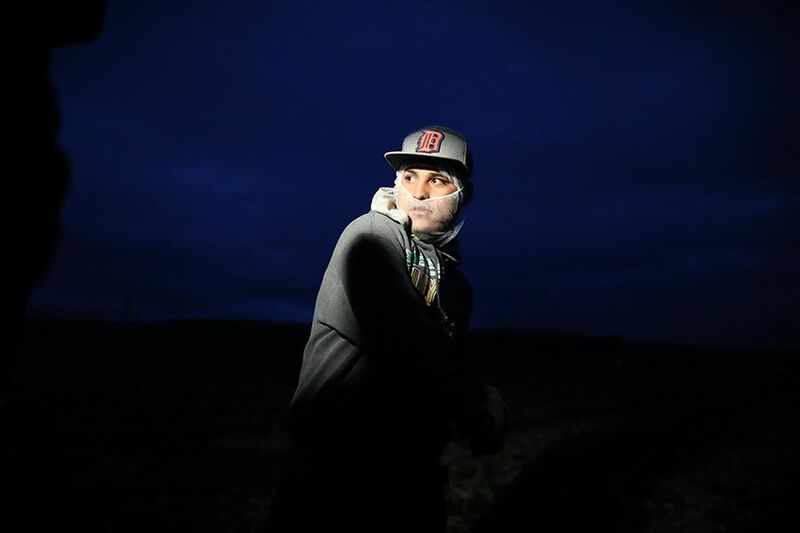 Migrant farmworker Hector Manuel Morales, 20, from Mexico, who has an H2A visa, stretches before harvesting romaine lettuce. 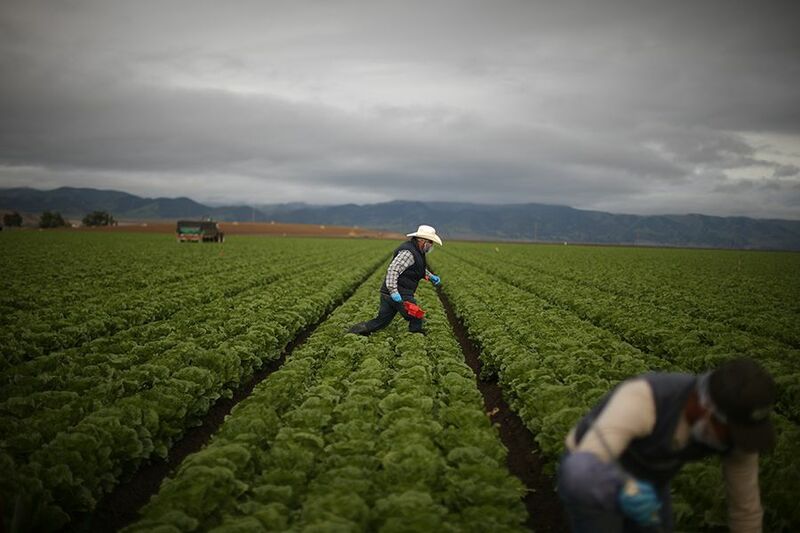 Foreman Roberto Navarrete, 30, supervises migrant farmworkers with H2A visas as they harvest romaine lettuce. 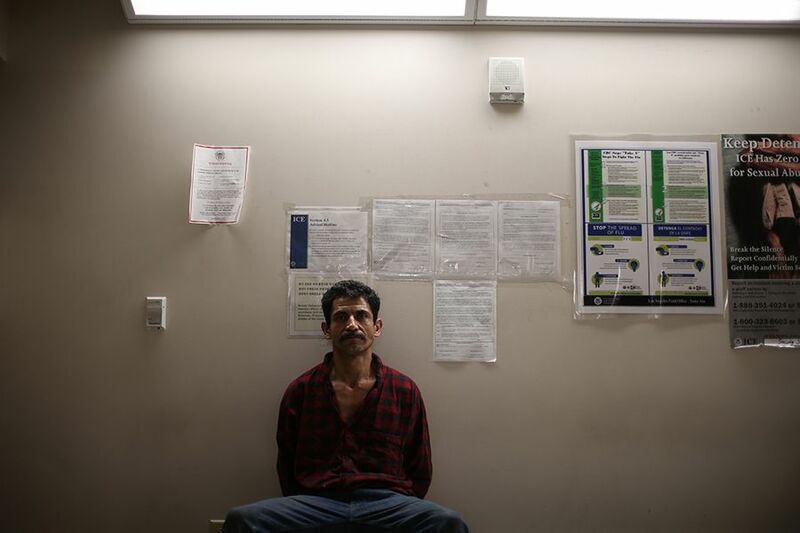 Mexican national Adelberto Magana-Gonzales, 44, waits to be processed after being taken into custody by a U.S. Immigration and Customs Enforcement's (ICE) Fugitive Operations team. ICE detainees exercise in a recreation area at the Adelanto immigration detention center. 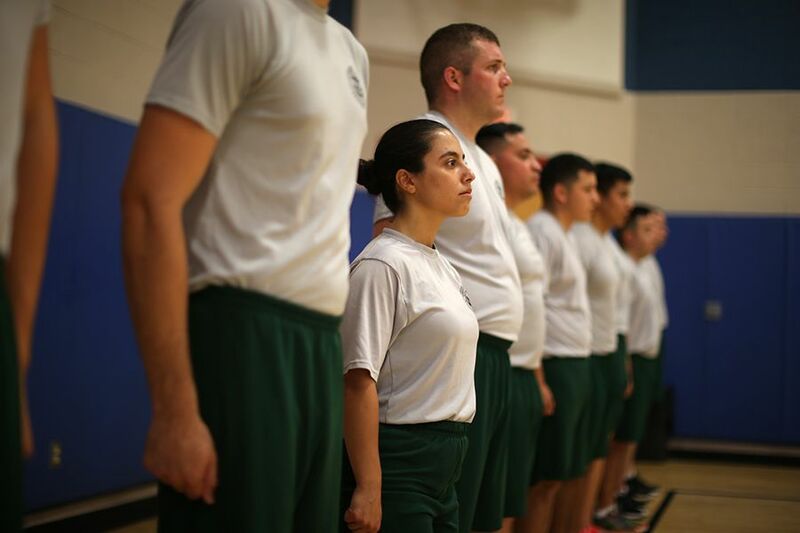 Border patrol trainee Stevany Shakare, 23, (2nd L) takes part in a physical training class at the United States Border Patrol Academy. 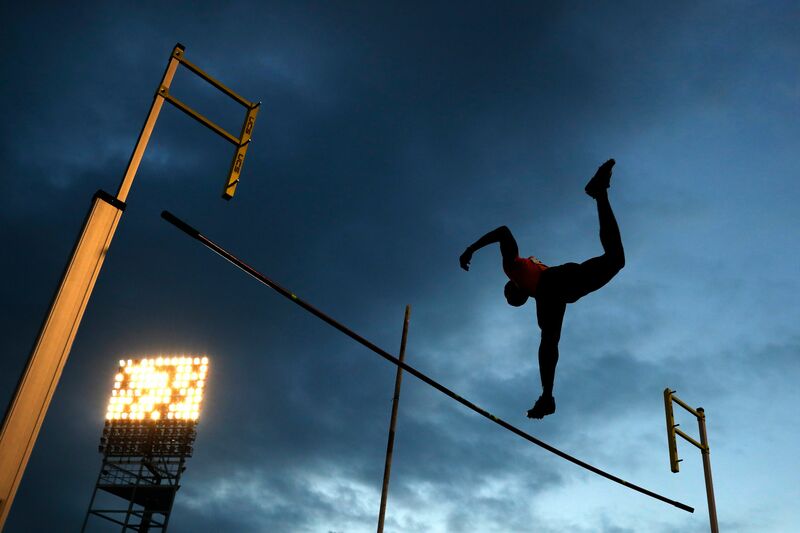 Jamaica's Akeem Kerr competes in the pole vault final. 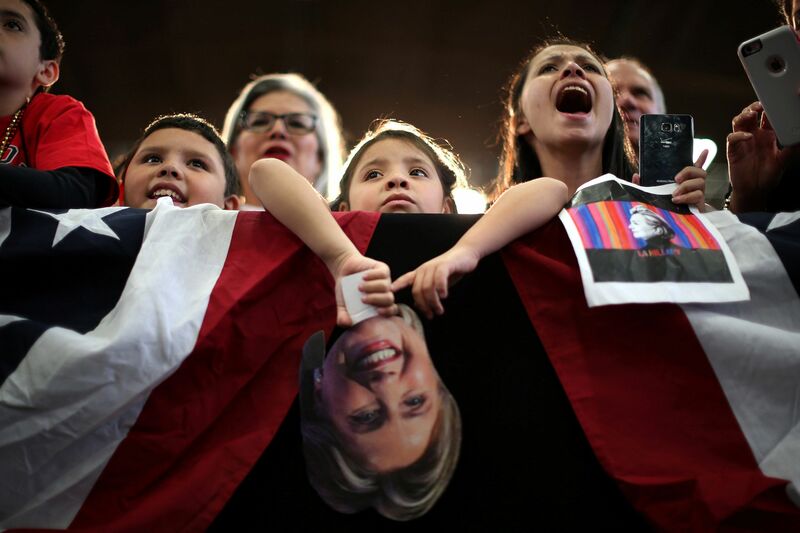 People listen to U.S. Democratic presidential nominee Hillary Clinton at a rally at the Colorado State Fair Grounds. 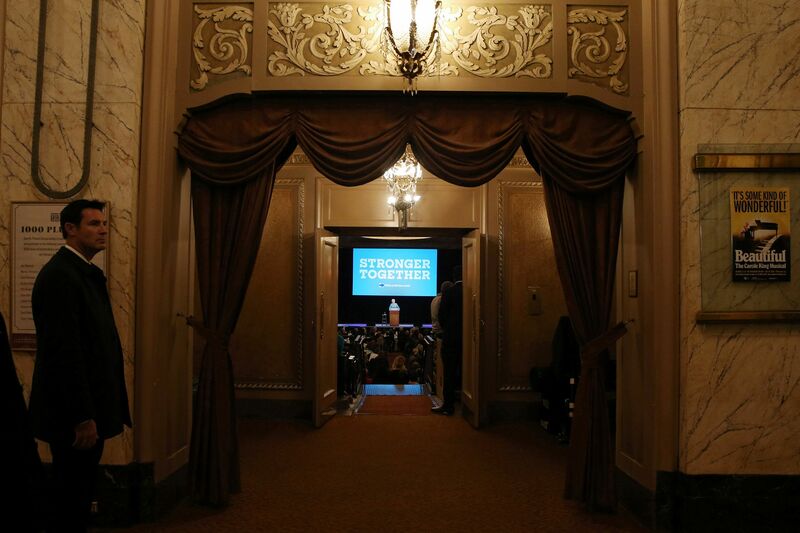 U.S. Democratic presidential nominee Hillary Clinton speaks at a fundraiser. 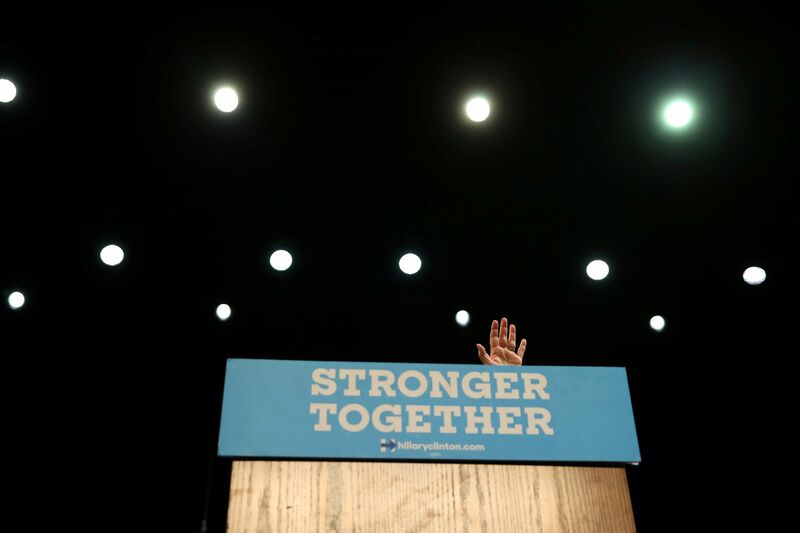 U.S. Democratic presidential nominee Hillary Clinton waves from behind the lectern after speaking at a fundraiser. 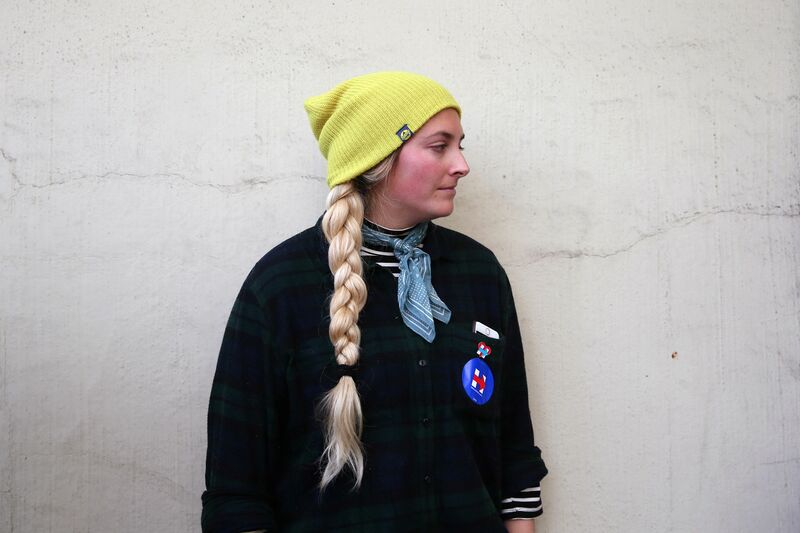 A supporter waits to see U.S. Democratic presidential nominee Hillary Clinton at a campaign office. 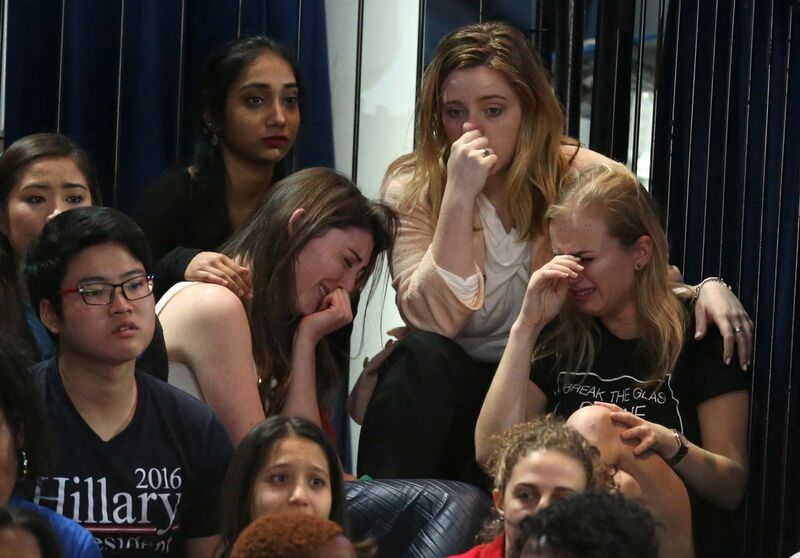 Supporters of U.S. Democratic presidential nominee Hillary Clinton react at her election night rally. 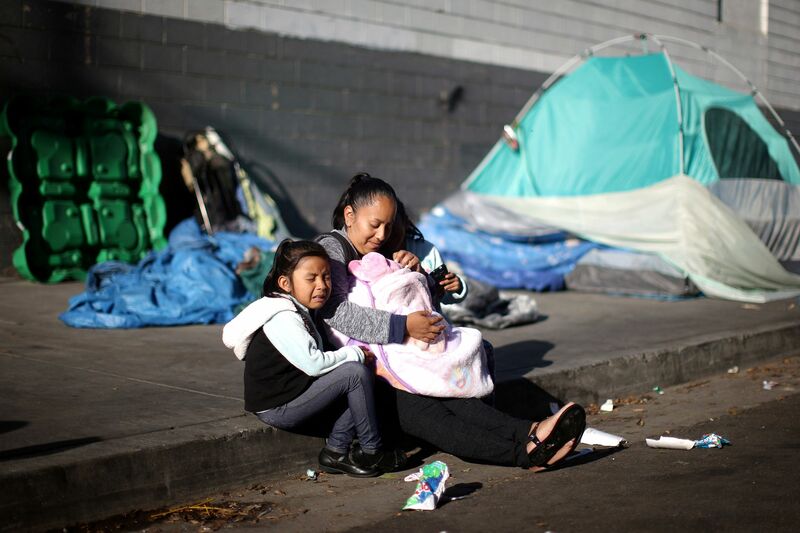 Samantha Cadena, 28, sits with her daughters (L-R) Ayila Sanchez, 6, two-month-old Emily, and Keila Sanchez, 7, as they wait with other impoverished children and their families to receive free back-to-school supplies on Skid Row. A couple hugs in front of the ferris wheel at the Coachella Valley Music and Arts Festival. Gordon Satterly, 61, from Michigan (L) kisses his husband Richard Brand, 53, from Texas, at the International Gay Rodeo Association's Rodeo In the Rock party. 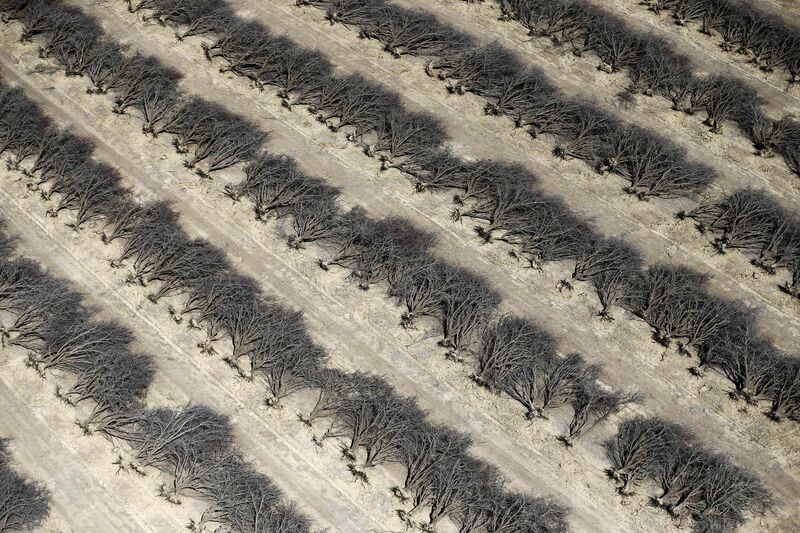 A field of dead almond trees is seen in the Central Valley. Almonds, a major component of farming in California, use up some 10 percent of the state's water reserves according to some estimates. 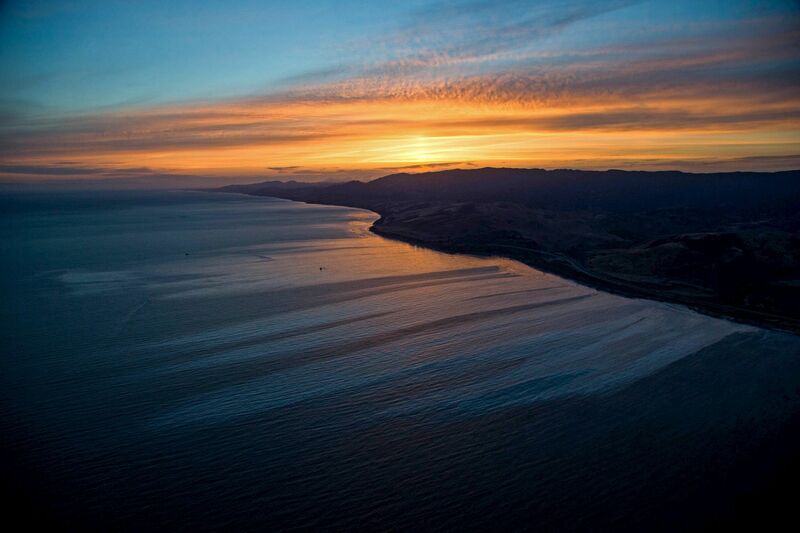 An oil slick is seen along the coast of Refugio State Beach after a pipeline rupture. 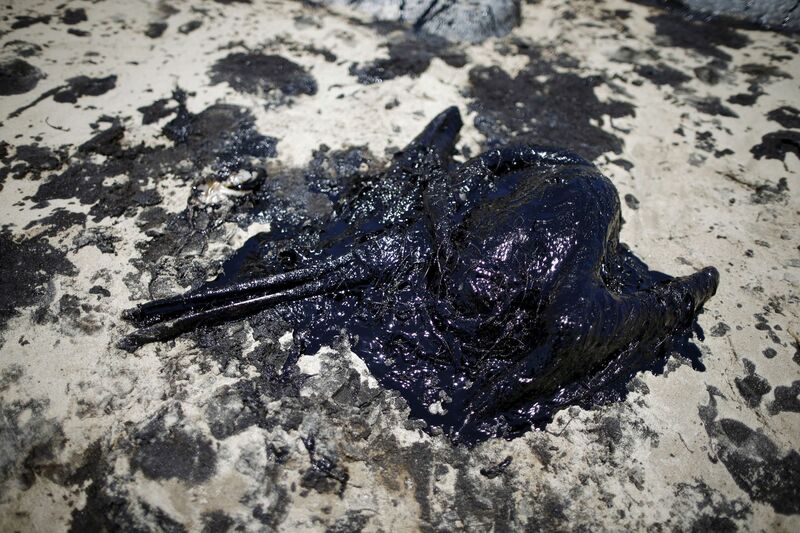 A pelican covered in oil is seen along the coast of Refugio State Beach after a pipeline rupture. 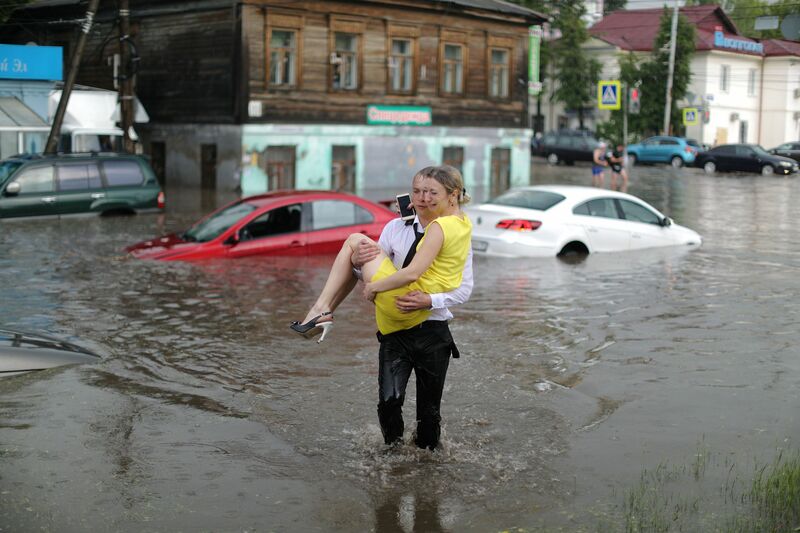 Jason Howe, 50, (L) and his husband Adrian Perez-Boluda, 50, help their twin three-year-old daughters Olivia (2nd R) and Clara put on their shoes after their ballet class. 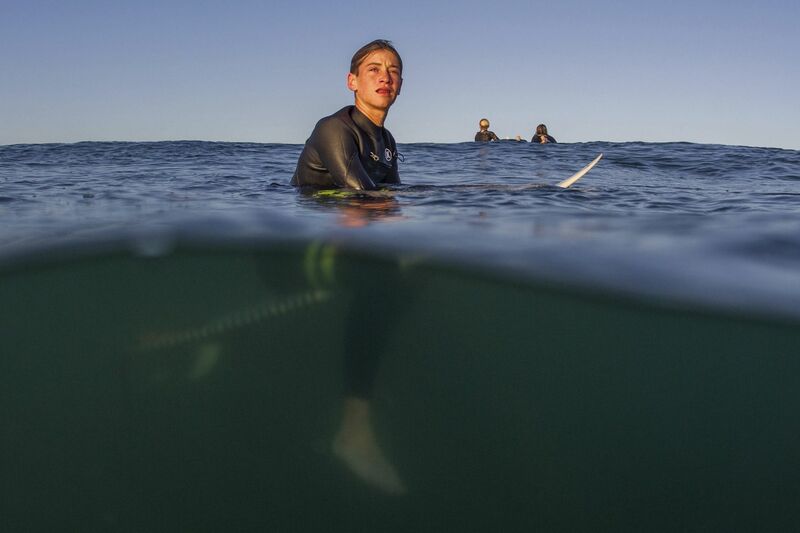 Luke Personius, 12, waits for a wave as he surfs before school at sunrise. 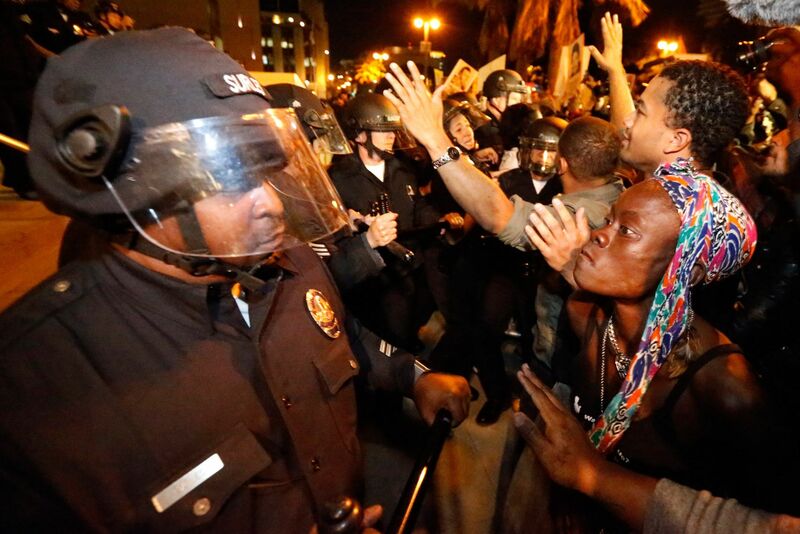 Protesters face off against a line of police officers following the grand jury decision in the shooting of Michael Brown in Ferguson. 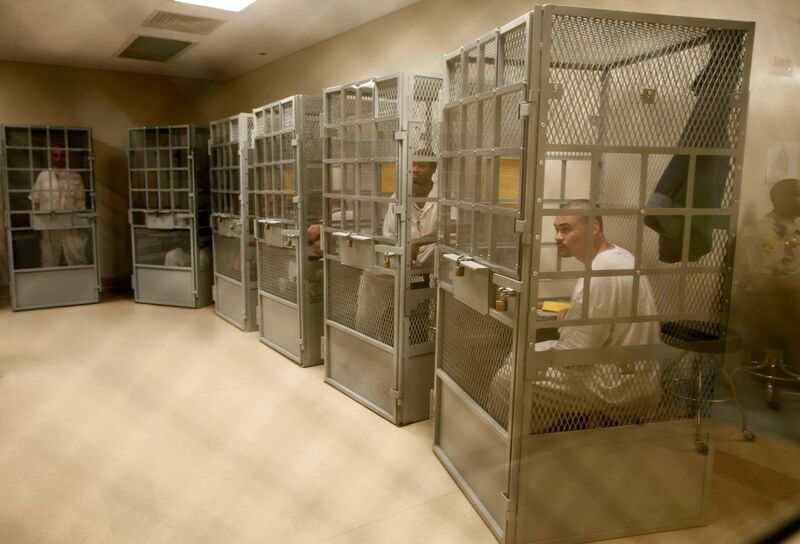 Administrative segregation prisoners take part in a group therapy session. 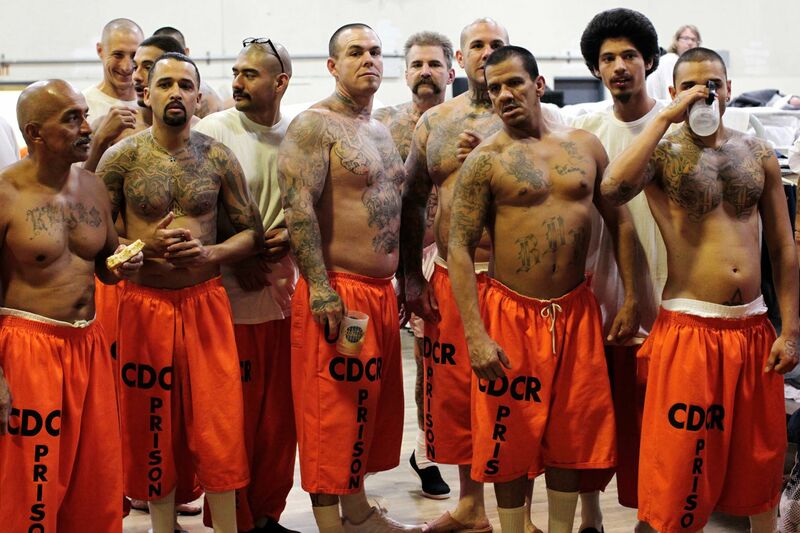 San Quentin prison is California's oldest correctional facility and houses the state's only gas chamber. Vanessa Moreno, 24, holds her two-month-old baby Makayla at Prototypes residential treatment program. 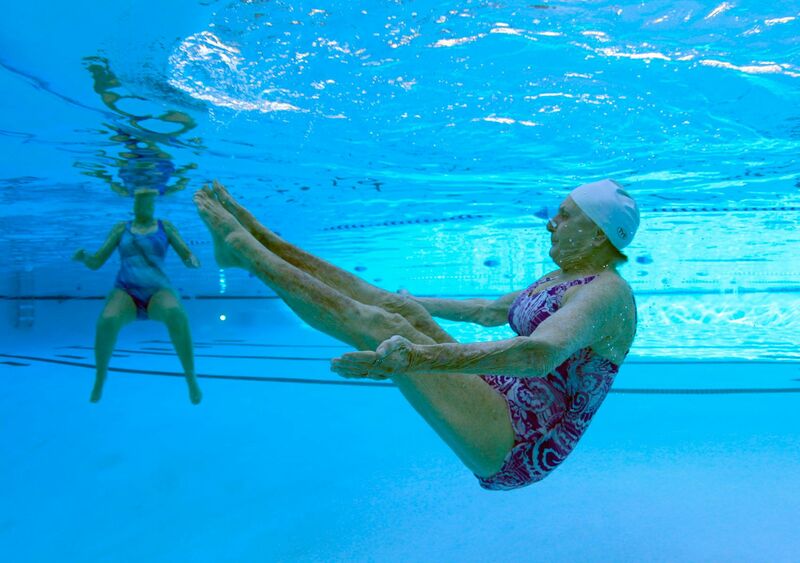 Inge Natoli, 90, who emigrated to Michigan from Germany, and has lived in Sun City for 29 years (R), practices synchronized swimming. The Sun City Poms cheerleader dancers rehearse. 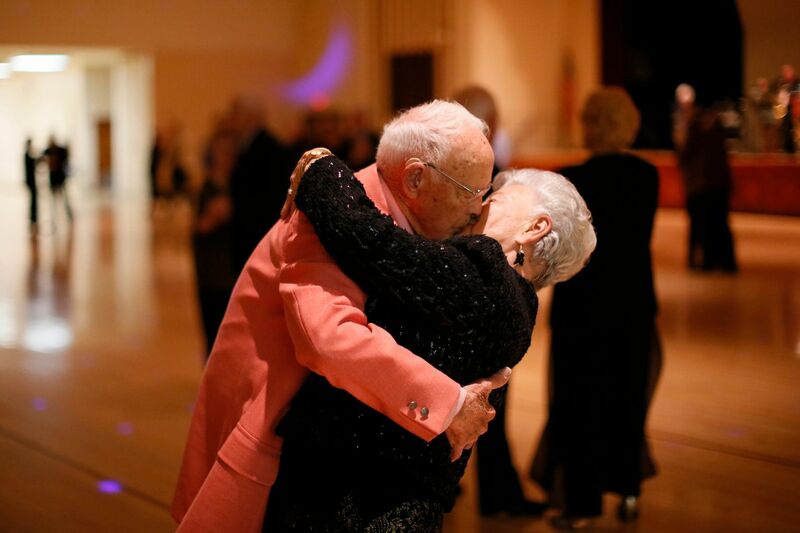 Donald Smitherman, 98, kisses his wife Marlene at the end of a dance. 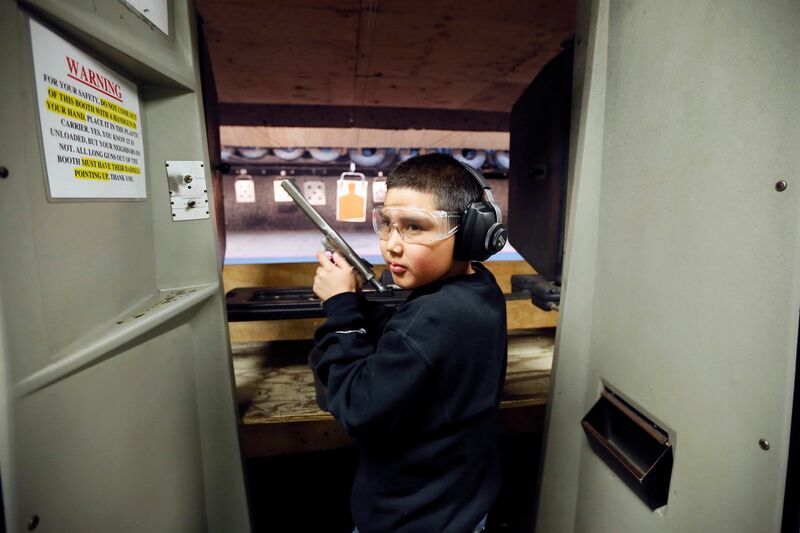 Andrew Joseguera, 11, prepares to shoot at a target at the Los Angeles gun club. 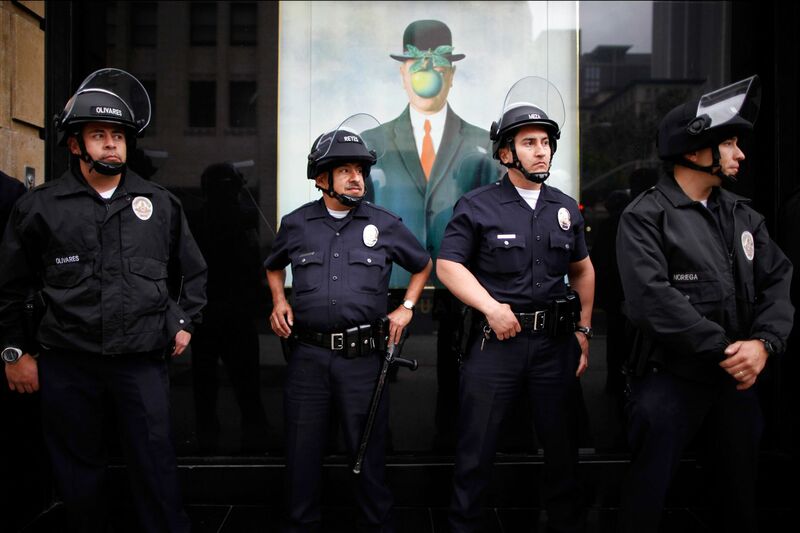 Police watch protesters congregating downtown during May Day demonstrations. 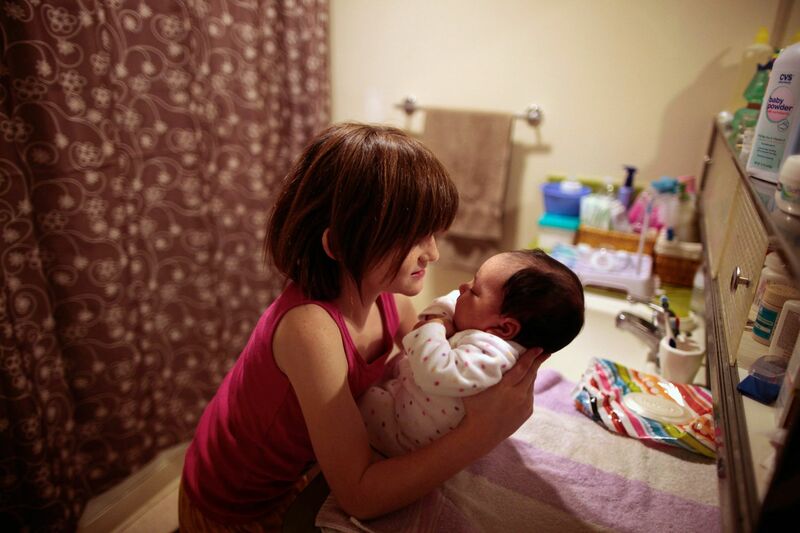 Lilly Earp, 8, changes the diaper of her five-week-old sister Emily in their apartment at Hope Gardens Family Center, a homeless shelter for women and children. Cori Walters, 32, (R) hugs her daughter Hannah Walters, 6, at California Institute for Women state prison during a Mother's Day visit. Sixty percent of parents in state prison report being held over 100 miles from their children. 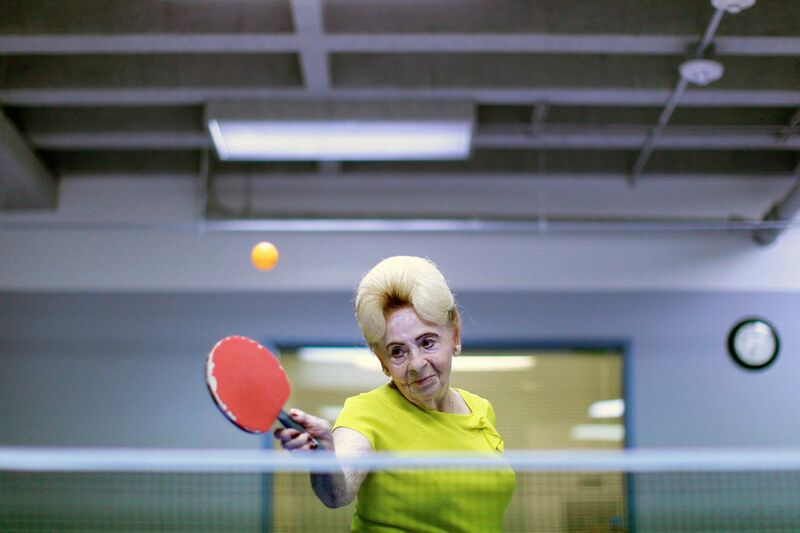 Holocaust survivor Betty Stein, 92, plays ping pong at a program for people with Alzheimer's and dementia. 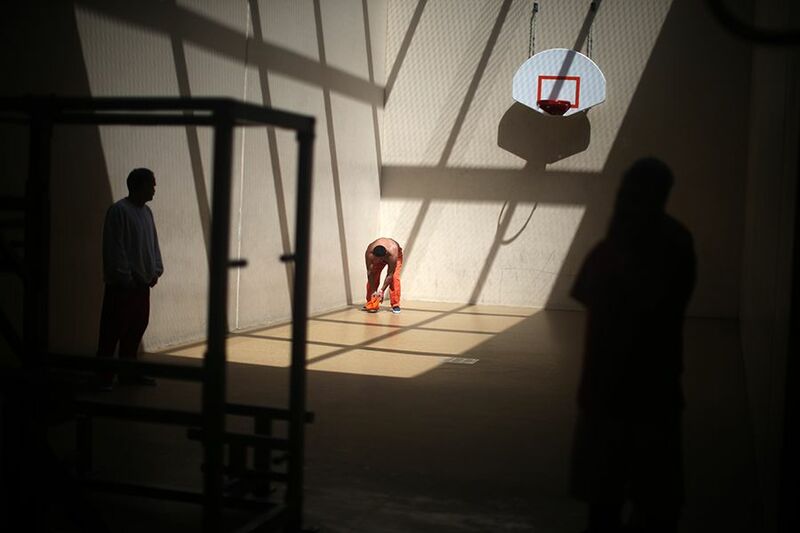 Inmates stand in a gymnasium where they are housed due to overcrowding at the California Institution for Men state prison.